Map It! 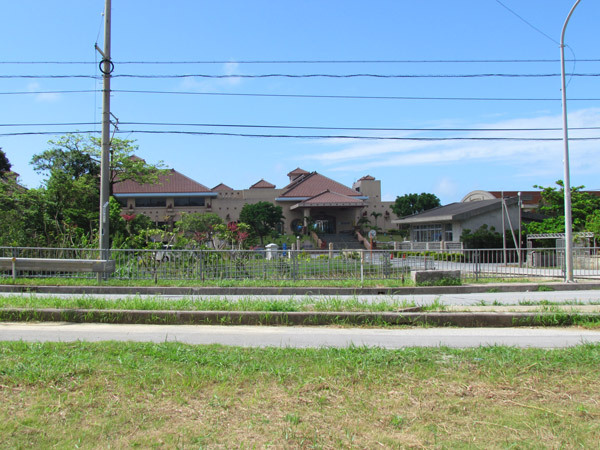 Okinawa: "The Weenuatai Ohaka - Kanna, Ginoza Village"
Such wooden graves were said be the forerunner of the stone graves that are more familiar today, but exactly what part of Okinawa they were used is not quite clear. Many were hardly left due to the war and some where found in caves. Nails where not used to hold them together. 1912 was said to be the last time remains were put in the Weenuatai Ohaka. The refurbished grave is now made of 34 pieces of wood; of the 34, 17 are new pieces and 17 are from the original grave. A display replica of the Weenuatai Ohaka can be seen at the Ginoza Museum. See article on the Ginoza Museum. Advisement. 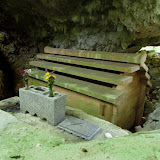 The Weenutai Ohaka is a grave. Please be respectful in mannerism. 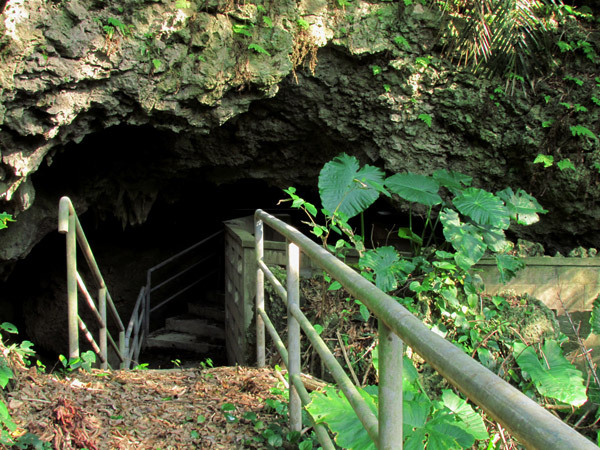 It rest highly visible off the main trail and sits in a small cave-like cavity. Villagers still come here to pay respects to their earlier ancestors. It is a place of meditation and reflection. What to bring. To protect yourself from critters, it is highly recommended you wear long sleeves top and bottom, bring a pair of hiking gloves, a neck towel, and a hat. There is a lot of moisture in the area and it will attract a good amount of insects. Consider bringing bug repellent. Though the Weenuatai Ohaka sits off a well beaten path, it is recommended that you bring a guide stick to probe areas for snakes and to knock down spider webs should you decide to venture elsewhere. 1. It is believed that the rest of the remains belonged to older adults (speculation). Verification is required. 2. Interesting to note that dugong remains were found and makes one wonder to what extent and what role the mammals played in early Okinawa culture. 3. If the suffix 'yama' is the same 'yama' used to describe a mountain, then it is possible that the Dakiyama Forest belongs to a mountain range in the nearby area. 4. It is not clear what the meaning of the word 'Weenuatai' means. Source of information. Leaflets provided by the Ginoza Village Museum (Japanese). Visions of Ryukyu: Identity and Ideology in Early-Modern Thoughts and Politics, Gregory Smits, 1999, Pg 83 (Turtle-back Tombs). Related Articles. The Katana and the Ginoza Museum, Kanna's Mysterious Yoriage Forest. Directions. The Weenuatai Ohaka is located at the Yoriage Forest which is part of the Kanna Village Park and is on the opposite side of Highway 329 from the Kanna Thalasso Resort. 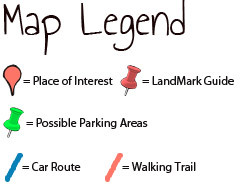 See the map for LandMarks.